Everyone gets spots.... even Pharrell! 4. Everyone gets spots.... even Pharrell! Pharrell turned up at the Sprint Sound Sessions with a tiny spot… and later on in the night he was sporting a Mickey Mouse plaster to conceal it. 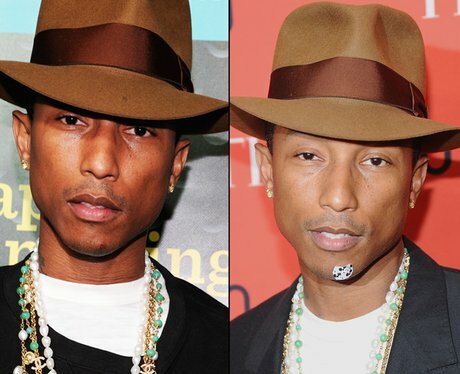 We'll lend you our concealer next time, Pharrell - everyone gets a spot at the worst possible time!